GRIPiTe V30 SD Static Dissipative and Conductive Flooring Adhesive is a high bond strength static dissipative floor coverings adhesive. It has conductive properties which enable the discharge or dissipation of electrical charges which build up in vinyl flooring to a discharge earth leakage point. The adhesive can be used with copper or aluminium strips connected to an earth leakage point. 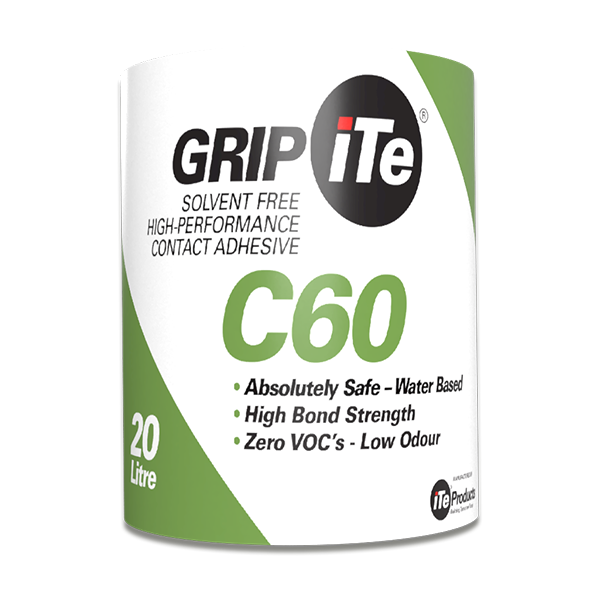 GRIPiTe V30 SD is a solvent free acrylic flooring adhesive incorporating static conductive components to ensure that static is transmitted from the flooring into the adhesive and then into the sub-floor, and ultimately into the earth leakage electrical system. 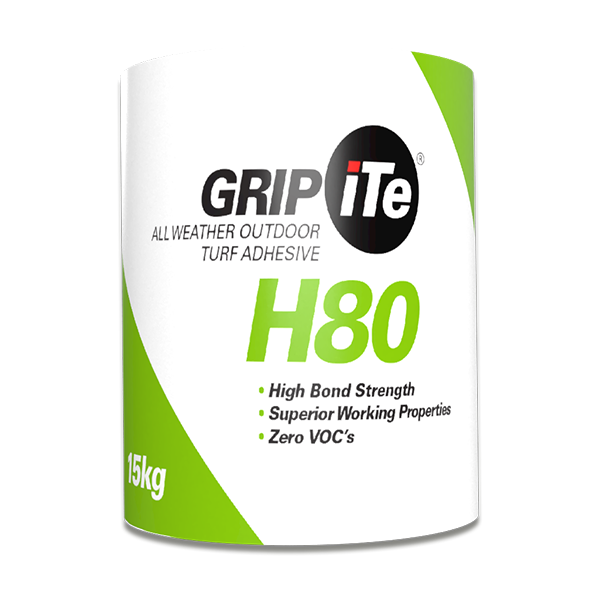 Containing no VOC’s, GRIPiTe V30 SD is GBCSA compliant for green buildings. GRIPiTe V30 SD is available in 5Kg and 20Kg buckets. 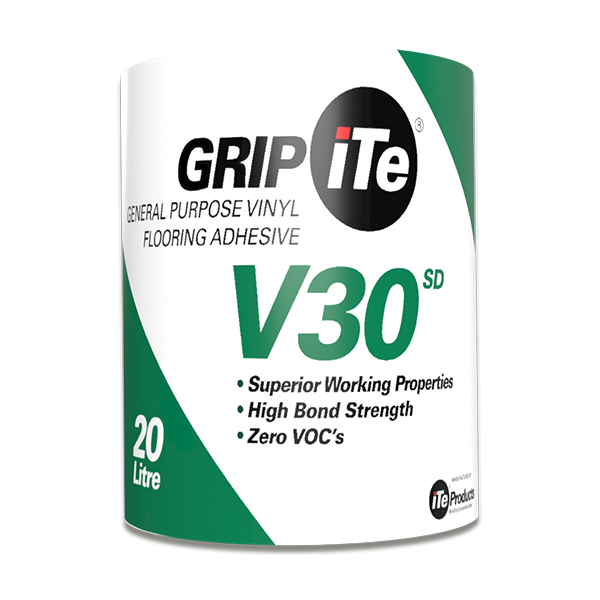 iTe PRODUCTS GRIPiTe® V30 SD is manufactured to comply with the required standards for use as an adhesive for bonding vinyl floor coverings and synthetic stick-down carpeting to cement based substrates. It is imperative to get adhesive transfer onto the back of the flooring. Use of a heavy 60kg roller on the flooring before the adhesive has set is required. In order to prevent adhesive trowel marks to be visible once the adhesive has set under the flooring, the wet adhesive may be rolled with a mohair roller to flatten the ridges. Care must be taken to ensure that adhesive transfer still takes place. GRIPiTe is available in 5Kg and 20Kg buckets. 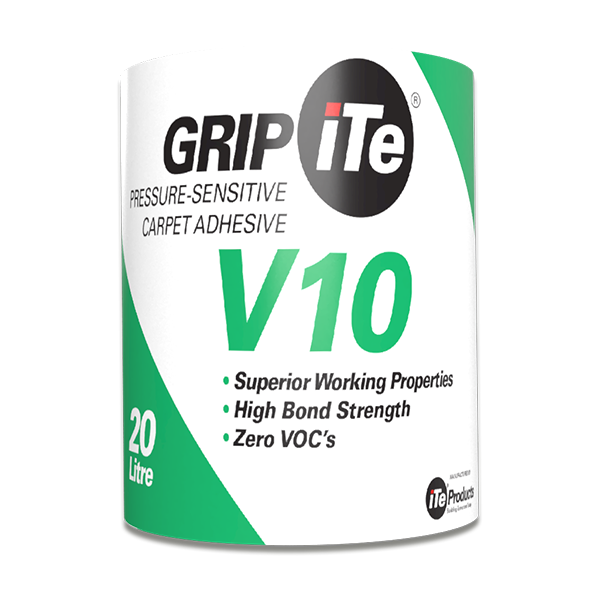 GRIPiTe ®V30 SD is applied at a rate of 4m² per Kg, depending on the roughness and porosity of the surface being adhered to and the trowel notch size.The recommended notch sizes are 1,5mm x 1,5mm vee’s with 1,5mm intervals.